Toast waffles as directed on box. 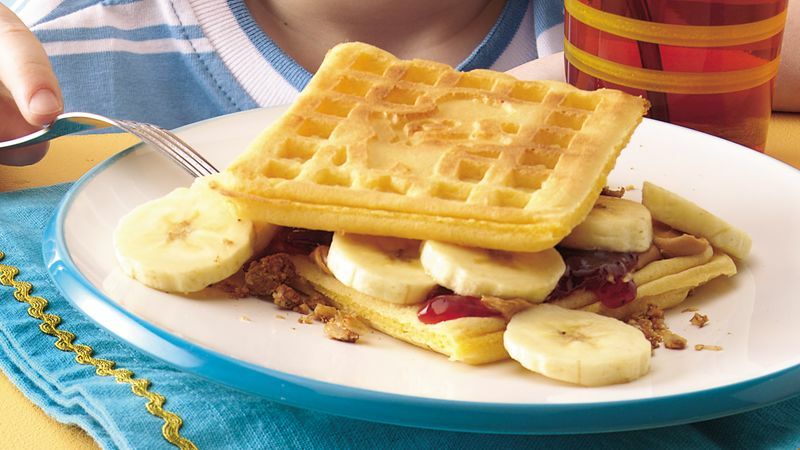 Spread 2 warm waffles with peanut butter and preserves. Sprinkle with crushed granola bar. Top with banana slices. Cover with remaining waffles, pressing down slightly. If desired, cut sandwiches in half diagonally to make triangles. If you don't have the granola bar on hand, just use about 1/4 cup granola cereal instead.